The Boston Celtics and the Philadelphia 76ers will meet at Wells Fargo Center on Tuesday in a battle of division rivals. The 76ers made significant improvements at last week’s trade deadline. They have since played like a team that is headed in the right direction. The Celtics failed to make any upgrades prior to the deadline and are looking like a team that needed a shake-up. TV: 8 p.m. 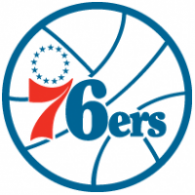 ET, TNT LINE: 76ers -6.5; O/U: 226. After a quiet deadline day last Thursday, the Celtics lost on a buzzer-beater to the Los Angeles Lakers. They then blew a 28-point lead before falling to the Los Angeles Clippers 123-112 on Saturday in a demoralizing defeat. The Sixers are coming off impressive wins over the Denver Nuggets and Los Angeles Lakers since making a series of deadline moves. Joel Embiid went off for 37 points and 14 rebounds in Sunday’s 143-120 rout of the Lakers. Philadelphia moved one game ahead of Boston for fourth place in the Eastern Conference. The Celtics are 35-21 overall. Saturday’s collapse began late in the first half after All-Star guard Kyrie Irving suffered a sprained knee that has him day-to-day entering the week. Gordon Hayward had a team-high 19 points off the bench. The other starters combined to shoot 14-for-42 from the floor without their leader. The Celtics took the first two meetings — both at home. Irving scored 40 points in an overtime triumph against the Sixers on Christmas Day. The 76ers are 36-20 overall. Embiid was 12-for-16 from the floor in Sunday’s win. Newly acquired forward Tobias Harris had 22 points on 9-of-14 shooting in his second game with the team. Ben Simmons contributed seven assists and stunned the masses with a rare 3-point attempt that rattled in and out. Was it potentially signalling an addition to the dynamic All-Star’s repertoire? Only time will tell and if Simmons can hit a few three’s from time to time it will open things up more for the 76ers offense.